Starting your garden yet? I wanted to get this recipe out there while those of you who live in warmer climates have your gardens up and going. 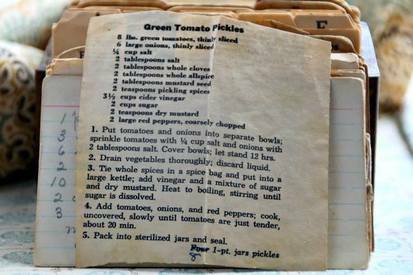 Have you ever had a green tomato pickle? What do you think, I have never had one, BUT I will be trying this soon. I just got my seedlings going.